And so it begins! Tonight was the Opening Night of the 34th Starz Denver Film Festival, and it was a truly magical experience. Held at the Ellie Caulkins Opera House – a wonderful place to see a movie, similar to how films were watched decades ago – the festival kicked off with Drake Doremus’ “Like Crazy.” I’ve never attended a film festival before, and after tonight, I think it’s safe to say I’m in for a real treat over the next two weeks. On the most basic level, it is very special to see a great movie surrounded by an audience that takes film seriously, and the speakers who introduced the festival made it very clear that this event is a true celebration of cinema. Director Doremus was on hand to introduce the film and do a follow-up Q&A, and when he first came out on stage, he demonstrated a charming knowledge of his location by kneeling down and “Tebowing,” a gag that brought the house down. 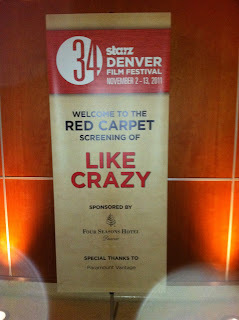 I have some pictures after the jump to illustrate how Opening Night looked, but the most important thing is the film: so click through to read my review of “Like Crazy,” a wonderful movie you all should see when it is released in Denver on November 11th. In the world of film, romance is rarely the central focus of a narrative. Relationships, if depicted realistically, are tough subject matter, nearly unapproachable if a filmmaker’s primary goal is to entertain. Romance is a series of ups and downs, glee and despair and everything in between, and an honest depiction of that truth takes more thought, nuance, and grace than most filmmakers are capable of handling in a two-hour movie. Thus, romance is most often framed through an alternate context, simplified into background material for an action film to humanize the protagonist, or as a totem to fight for in the combat genre. Most commonly, relationships are mined to produce guffaws in the dreaded “romantic” “comedy.” These films may involve “love,” but they aren’t really about romance, because if they were, their primary focus would not be humor. Hollywood produces many films involving romance, but only a select few take that topic seriously and dare to be about romance. 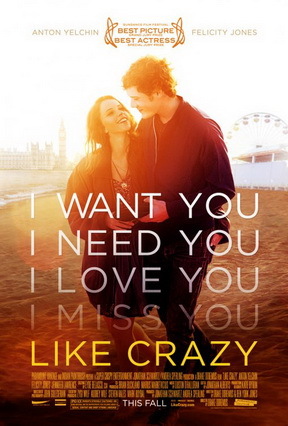 “Like Crazy” is one of those movies. It is about romance in a way I have never seen before, a disarmingly honest look at the space lovers inhabit and, more importantly, the space between them. Anton Yelchin and Felicity Jones star as Jacob and Anna, two young, talented people who meet in College and quickly fall in love. For a while, it seems as though nothing could ruin their happiness, but a dark cloud hangs over the couple: Anna is British, studying in the United States on a student visa, and that means her time with Jacob is limited. After they graduate, she must go back to the UK, and won’t return with a more permanent visa for three months. At the last minute, Anna decides she cannot leave, and instead spends the summer with Jacob. For breaking the terms of her visa, Anna is deported and essentially banned from visiting the United States. Separated not just by geography, but by their careers and individual lives, Jacob and Anna’s love is tested to degrees rarely explored in cinema. 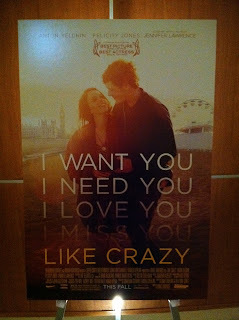 The performances by Jones and Yelchin are the primary reason “Like Crazy” works so well. Their acting and, more importantly, their chemistry is naturalistic on a level that transcends the hyperbole I would normally use. Even the most acclaimed performances don’t typically mirror real life 100 percent; they are heightened in some way, stylized to suit the screen, but Yelchin and Jones achieve something I have only ever seen a few times in my life: they come across as real people, wonderful flawed, complex, and a little bit mysterious, just as we all are. The amount of restraint shown in these performances is incredible, and the emotions they convey are so much stronger for that subtlety. Not one second of their performances looks like acting, and the chemistry they share is even more effortless. We believe in their love from the moment they first share the screen, but as Jacob and Anna grow older and their romance is challenged, Jones and Yelchin seamlessly illustrate the ways in which their chemistry changes. The most powerful emotional beats of the movie come in the final scene, where the duo have barely any dialogue: the space they have created and modulated between each other says it all, and it is both devastating and uplifting to watch. These are two performances that will be remembered in the annals of cinematic history; at the very least, Yelchin and Jones will be followed by these roles wherever their careers may take them, and I mean that in the best way possible. Their interactions are pure movie magic; all director Drake Doremus had to do to make the movie soar was to stand back, aim a camera at his leads, and capture that magic for the rest of us to experience. In that case, Doremus should be acclaimed for Yelchin and Jones’ success just as much as the actors themselves. In another interesting tidbit, it turns out that the cinematography wasn’t a purely aesthetic choice, but another tool for the performers. He didn’t want the actors to be aware of the cameras, so he purposefully placed them in areas the actors couldn’t see, meaning that the cast didn’t always know whether or not the camera was rolling. 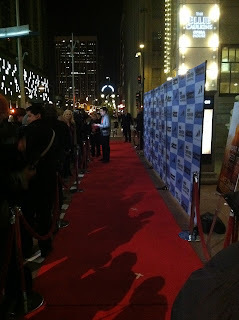 That’s what gives us the fly-on-the-wall feeling, but more importantly, it’s why the performances all feel so authentic. Doremus shot so many takes that when production was finished, he had well over seventy hours of film, of which only about 2% (by his estimate), made it into the movie. Again, the structure becomes apparent: Doremus says he spent two months in the editing room simply finding which pieces of footage he liked before bringing in the actual editor. Doremus’ comments only made me appreciate the film more, to connect the incredible craftsmanship to the honest, emotional tone. 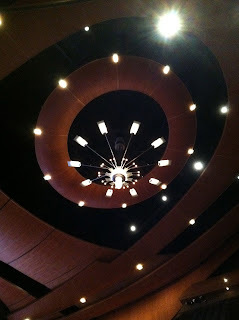 One bit of craftsmanship I appreciated throughout turned out to be unintentional, though. I was surprised, at first, to see the film’s color scheme, a washed out array of greys that took a while to accept; once I did, however, I began to like these colors, or lack thereof. I’m not typically a fan of digital photography, but for once, a dull, digital look really felt of a piece with the film, heightening the raw, unfettered nature of the narrative. 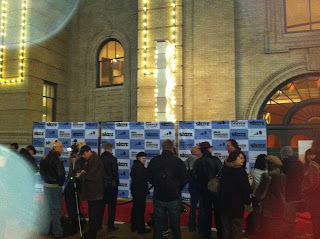 I was flabbergasted to learn, then, that the movie had simply been misprojected at the film festival. During the Q&A, the questioner noted that a digital film hadn’t previously been screened at Ellie Caulkins Opera House, leading to a problem with the colors. Doremus took it all in stride, laughing and noting that while the colors were “gone,” the “music and emotions” were still there. He also praised the Director of Photography, John Guleserian, saying that when the film is actually shown “in color,” it is gorgeous. I checked out the trailer online to confirm this, and indeed, “Like Crazy” is a beautiful film full of warm, rich hues, and I wish we could have seen it in color. Oh well – if anything, the lack of color at the screening only highlights everything else the film does so incredibly well. “Like Crazy” defines powerful filmmaking: it challenges viewers to examine love in ways we rarely do in a movie theatre, crafting a story free of contrivance that works towards an ending it earns, rather than one it pulls out of thin air. It features the best acting of any film I have seen so far this year, not just from Jones (who really, really deserves an Oscar, or at least a nomination) and Yelchin, but from the rest of the cast, including Jennifer Laurence and Alex Kingston; all play their roles with the same naturalism as the leads, and Doremus’ direction employs a similar sensibility. 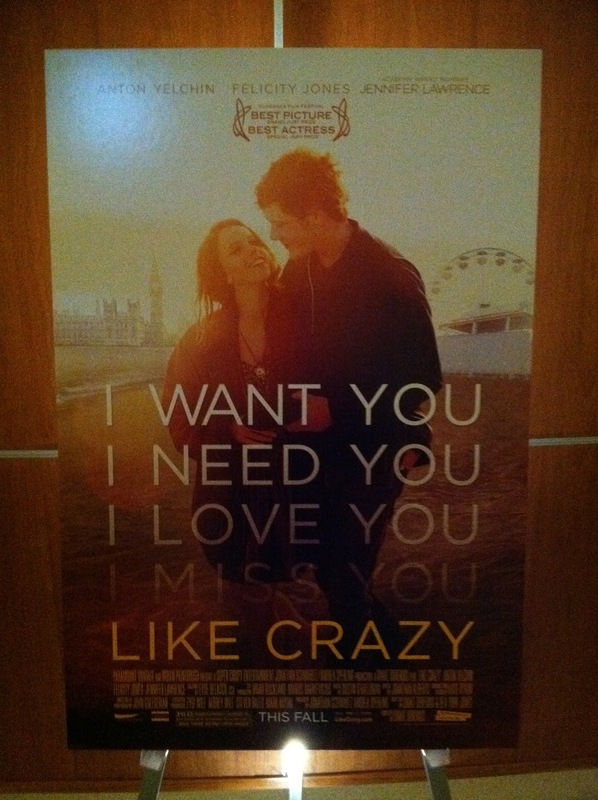 “Like Crazy” is a realistic, authentic look at romance on every level. It uplifts and devastates in equal measure, a cathartic reflection of love’s enigmatic dichotomy. If you enjoyed this article, please consider donating the site to make future reviews possible. 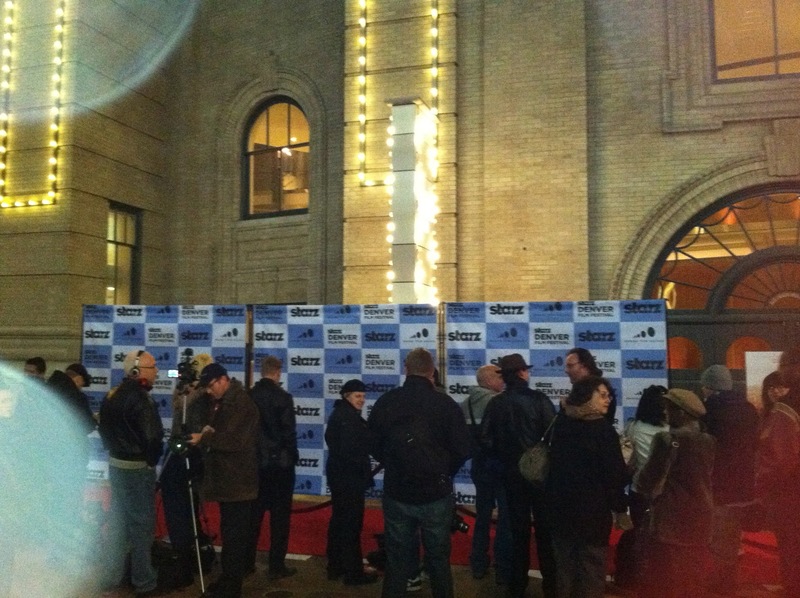 This film festival is expensive!